Wednesday, November 11, 2016 • 7:00 p.m. Discover the hidden secrets in your handwriting, and reveal the underlying motivations of your soul. Graphology is the science of “reading” an individual’s personality through their handwriting. 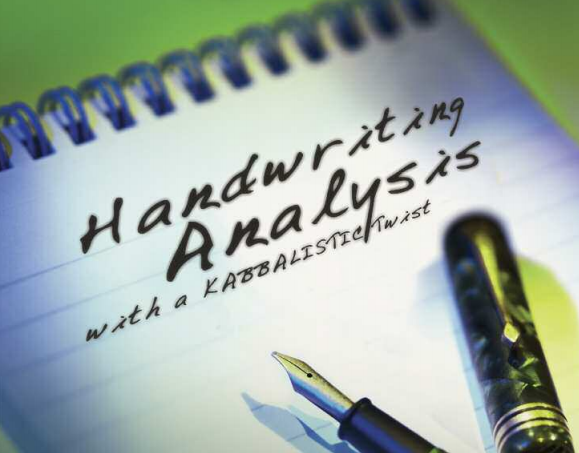 Many people are amazed to learn the deep insights their handwriting reveals about themselves. For the past twenty years, Yaakov Rosenthal has been helping people discover more about themselves through their handwriting. His services have been used by psychologists, school guidance counselors, and social workers. Most people do not realize that when they write they are actually seeing their soul come out on the piece of paper.